was elected to the Academy of Behavioral Medicine Research. This lifetime appointment is for scientists whose research exists at the interface of behavior and medicine. ; and embraces an interdisciplinary approach to understanding health and well-being across the lifespan. The CEBAH faculty consists of internationally recognized scholars investigating topics such as maternal-child health, postpartum depression, psychological well-being, relationships and health, resilience, body image and disordered eating, pain management, cardiovascular health, and sexual health. The center conducts research that advances basic science and that has implications for public policy. CEBAH also is committed to making findings from basic scientific research available to the public with the broader goal of enhancing general understanding of health and science. 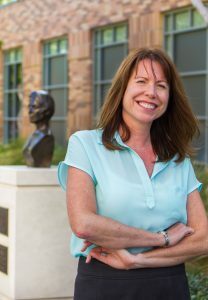 At Chapman University, Dr. Glynn also runs the Early Human Development and Lifespan Program. The program advances understanding of the role of the perinatal period in maternal and child health. The laboratory examines the interplay between biological, psychosocial and behavioral processes in human pregnancy. The interdisciplinary research team focuses on issues including: why women give birth to babies that are born early or small, how the fetal experience shapes the health and development of infants and children, and whether the prenatal period represents a critical period of neurological development, not only for the fetus, but also for the mother. : The Academy is the honorary senior scientist society for those whose research exists at the interface of behavior and medicine. Election to this society is reserved for those with national and international behavioral medicine research excellence.